Fairy lights, a photo by PhotoPuddle on Flickr. 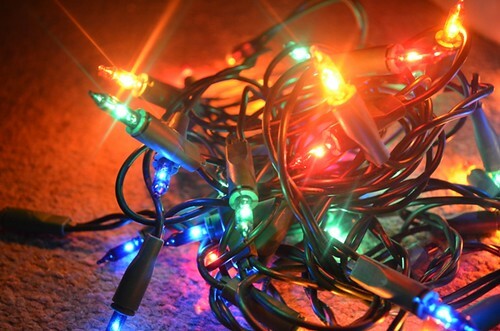 Whilst rummaging around in the loft this weekend I came across a random string of fairy lights that hadn't been packed up with all the other Christmas bits and bobs. I therefore decided to take the opportunity for a bit of a fairy light photo shoot as I've never really taken such a photo that I am happy with. I am pleased with this though. It seems pretty clear and crisp, the colours are good and I love the shine of the light. Can't wait to start snapping away at more Christmas decorations now!